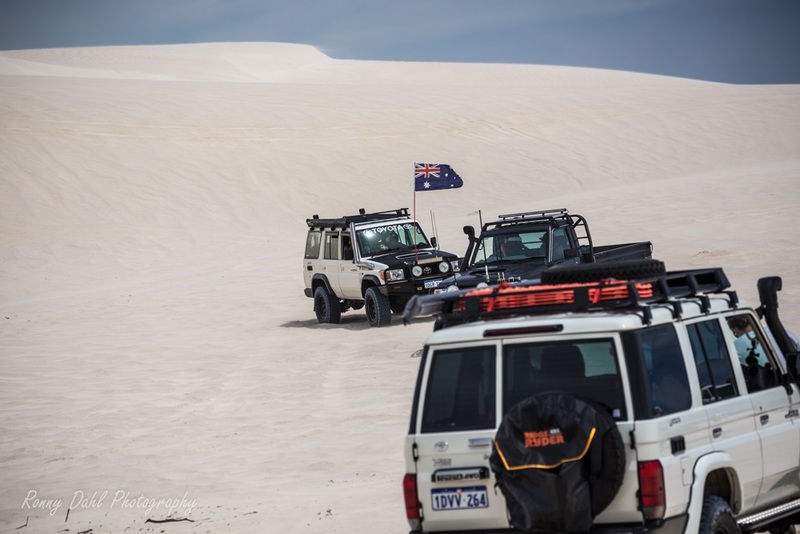 70 Series Landcruiser Day, Jan 2015. 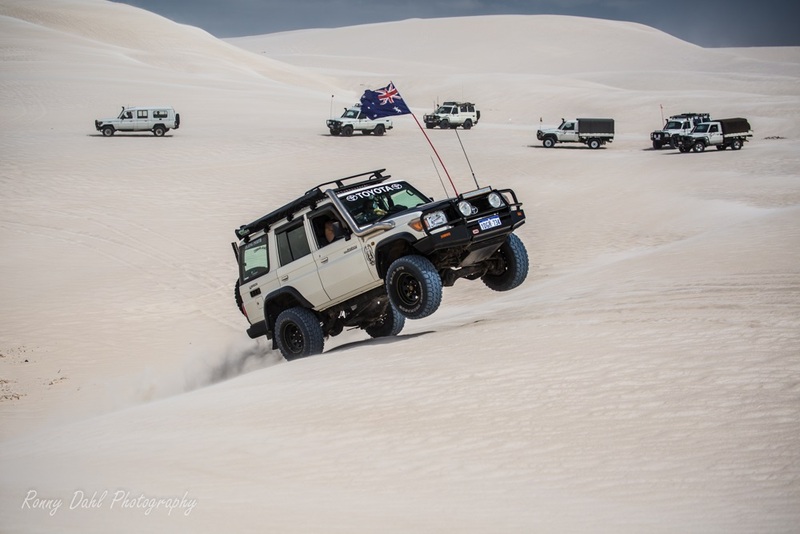 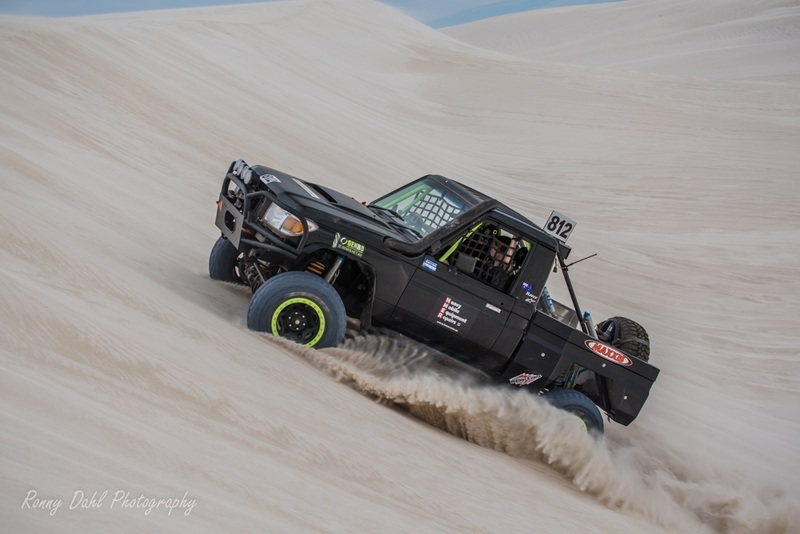 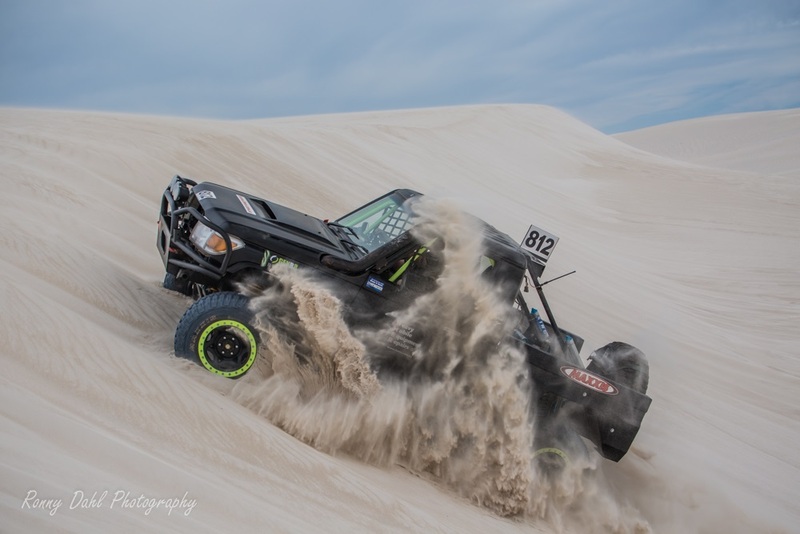 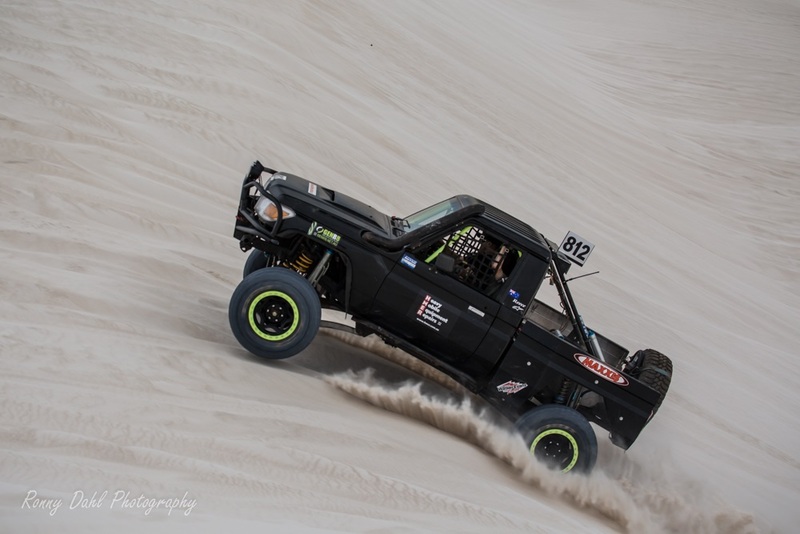 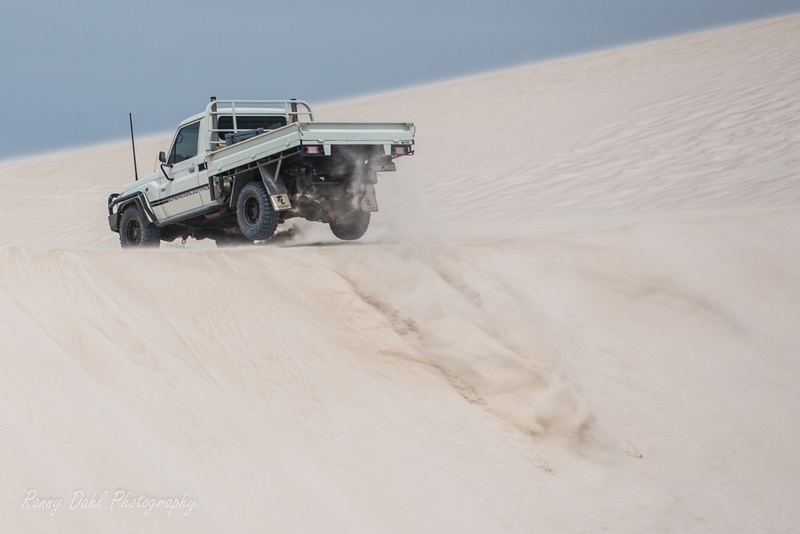 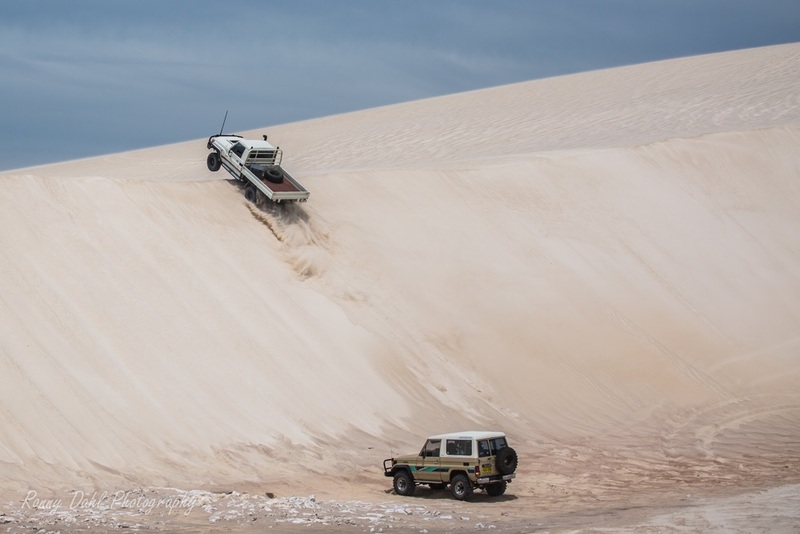 In Jan 2015 we co-hosted the 1st 70 series Landcruiser day with Chris from ‘Perth Toyota 70 Series Owners Group’ Facebook page, at the sand dunes in Lancelin, Western Australia. 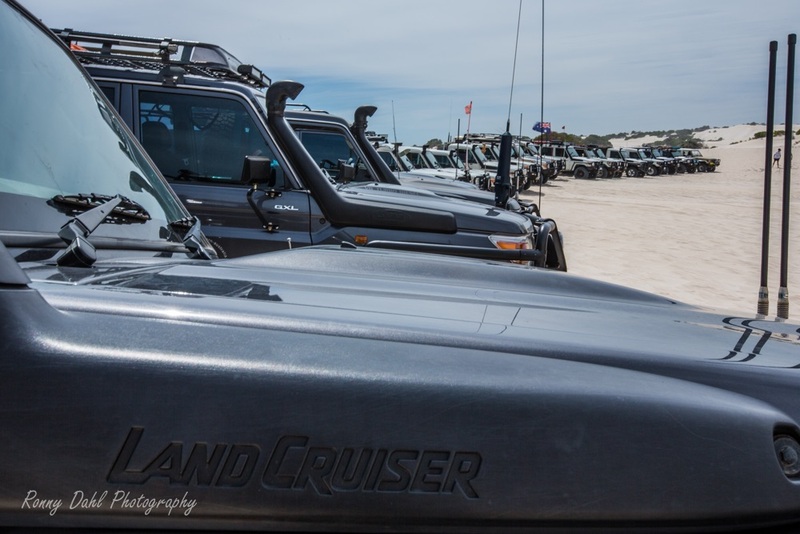 On a very windy day we had a great turnout, over 25 70 series Landcruisers! 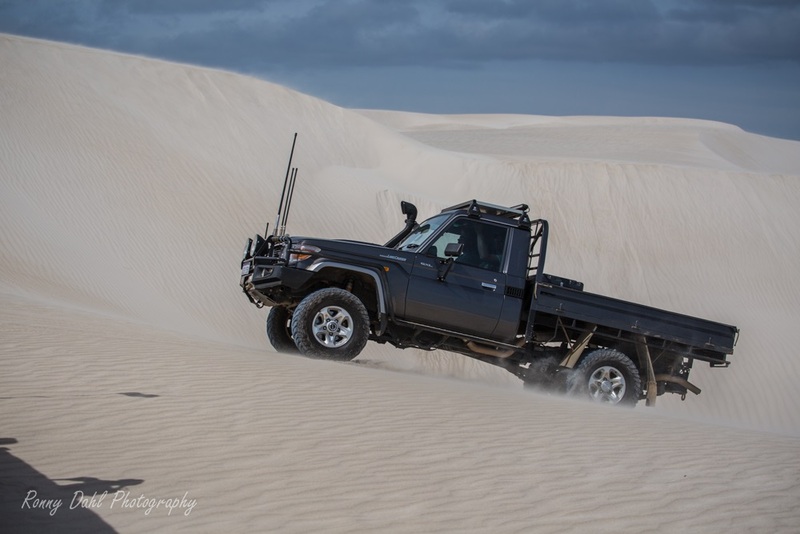 After having a chat to as many of the 70 LC owners as possible we all hit the dunes for a bit of fun which we recorded on video. 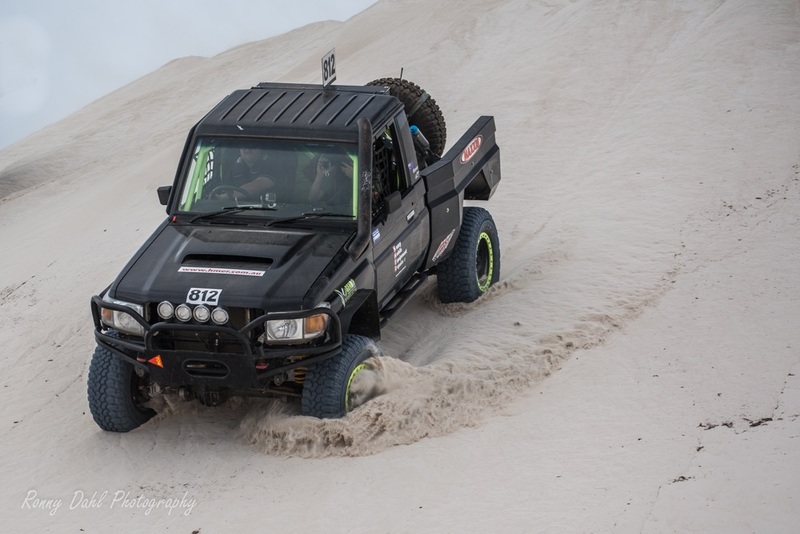 Click any image to open photo album for more images. 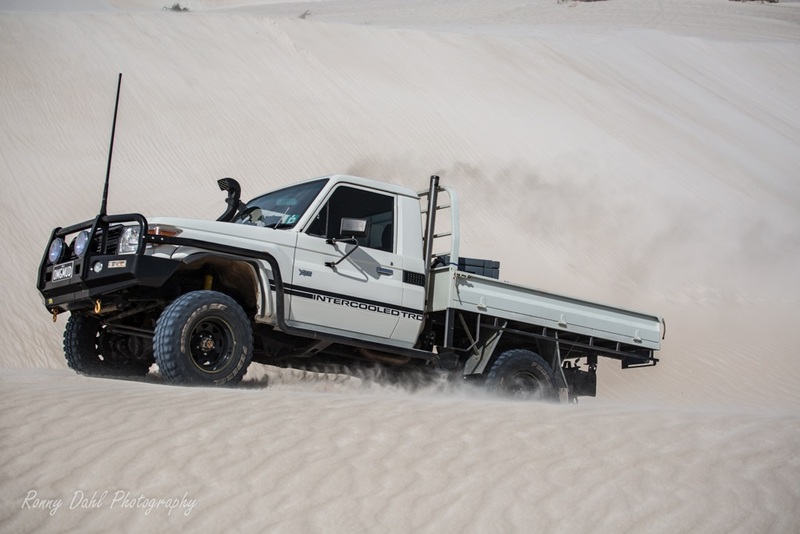 this 79 series single cab was an absolute beast of a thing with an engine conversion from a VE SS Holden Commodore (LS2 motor) and some tricked out suspension making the truck capable of dune jumping within reason without suffering damage. 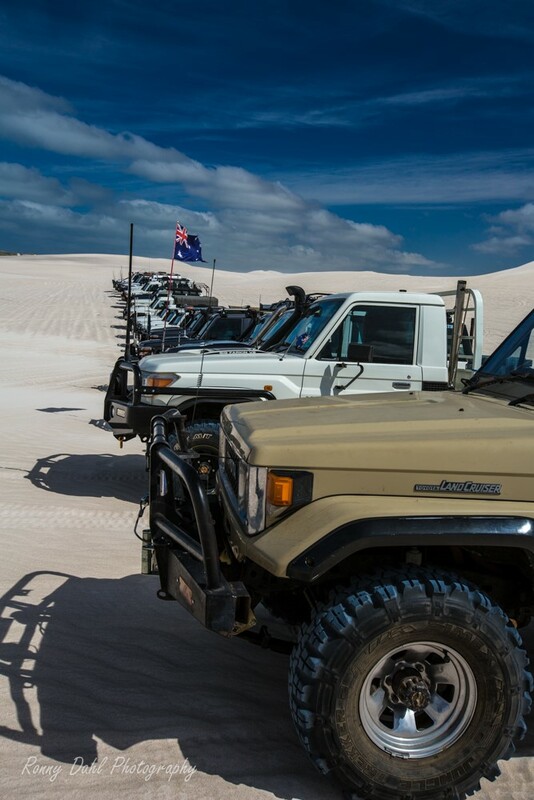 Every 70 LC owner did a pretty good job in the formation driving we did for the cameras. 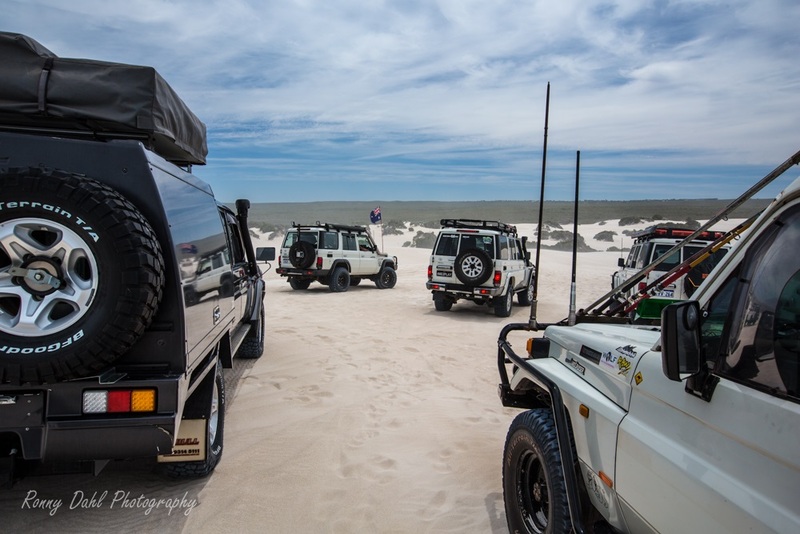 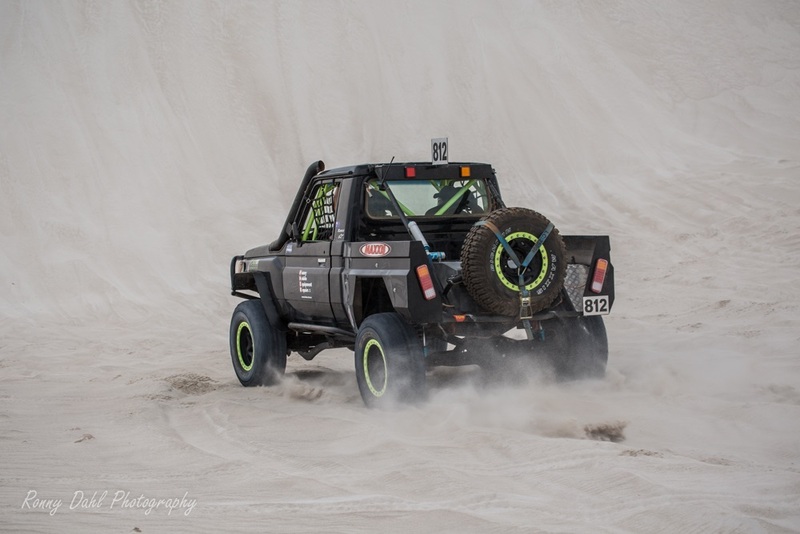 Most of the Landcruisers on the day were the VDJ70 model with the 4.5l V8 Turbo Diesel and at least half of those had a 3inch exhaust or bigger so there was no lack of the soothing V8 diesel sounds barking up the dunes! 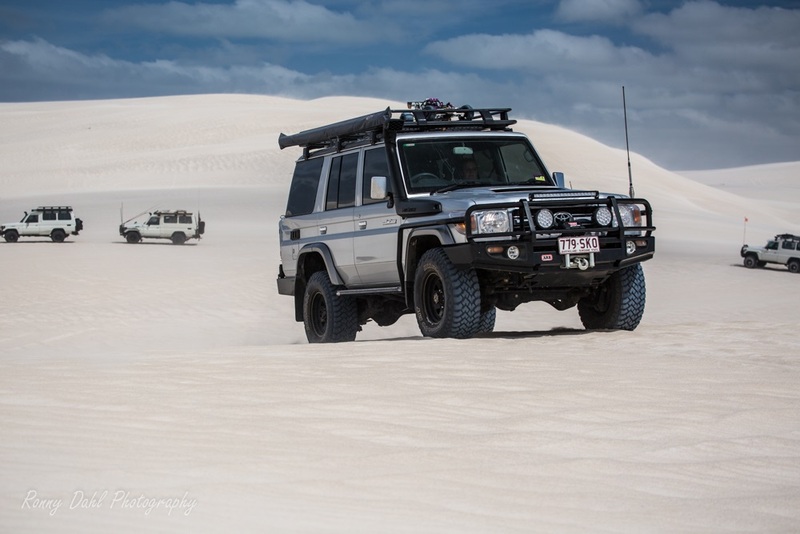 The main reason for the 70 series day was to catch up with other owners and to get some cool eye candy style footage. 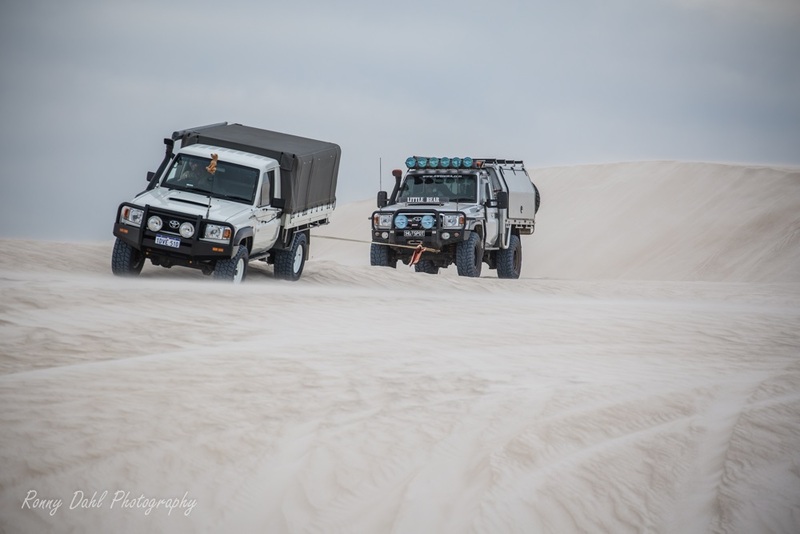 We also took photos but not as many as I would have liked as being part of the Landcruiser convoy it was a bit of a juggling situation. 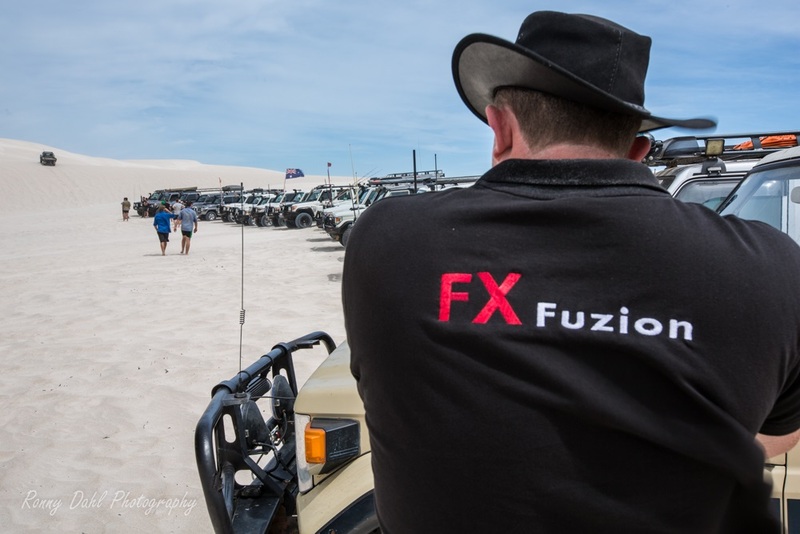 However with the video there was no compromise so we got Simon from FX Fuzion to help out with the video for the entire day. 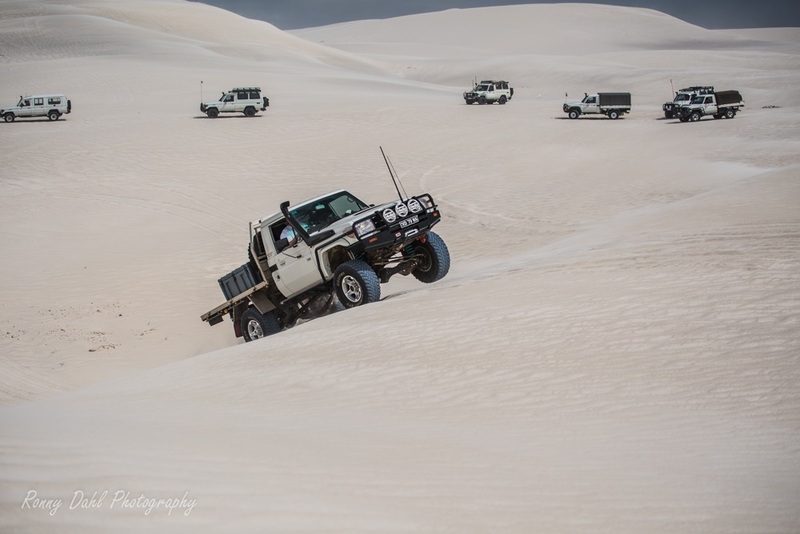 Below is the video and a photo set from the day. 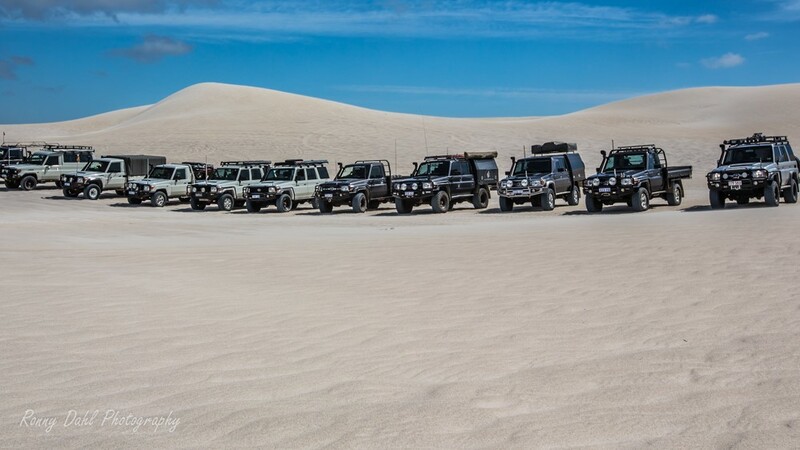 With the great turn out for the 70 series Landcruiser day we will definitely make this an annual event and next time we may choose a different location for something a bit different. 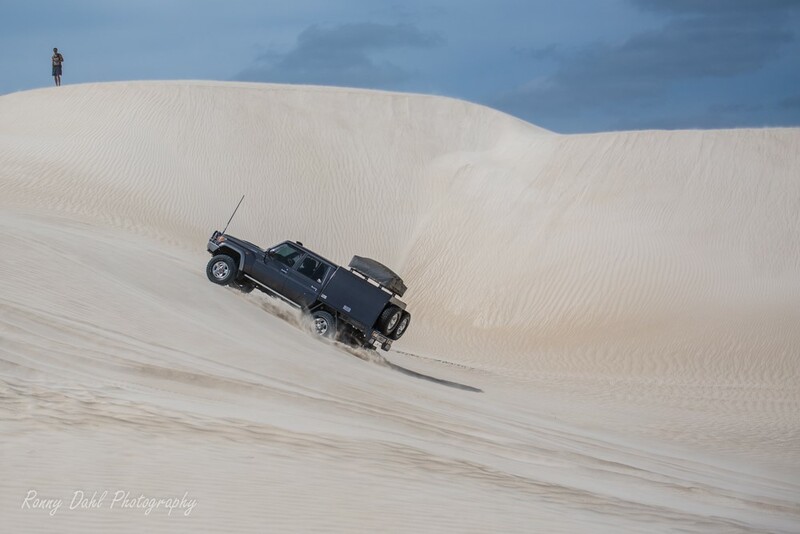 Thanks to all that turned up to help make it a great day out on the dunes. 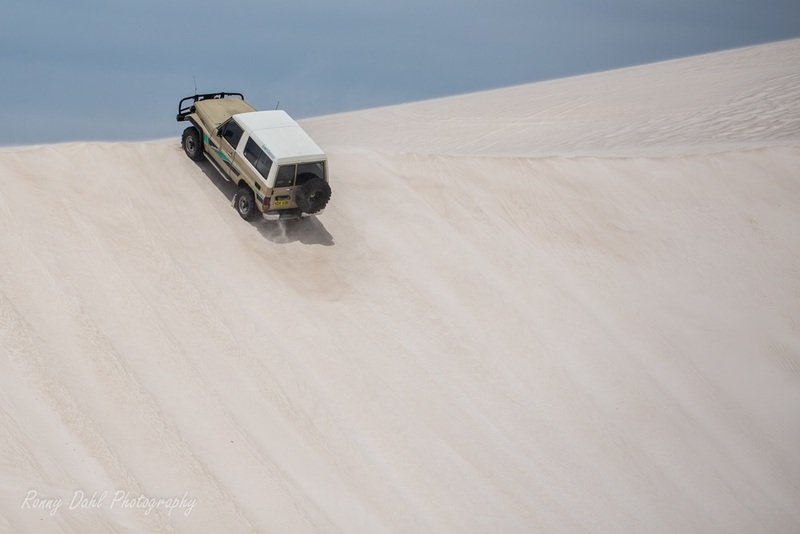 Last but not least thanks to Brian using the Jeep as the camera vehicle and also filming. 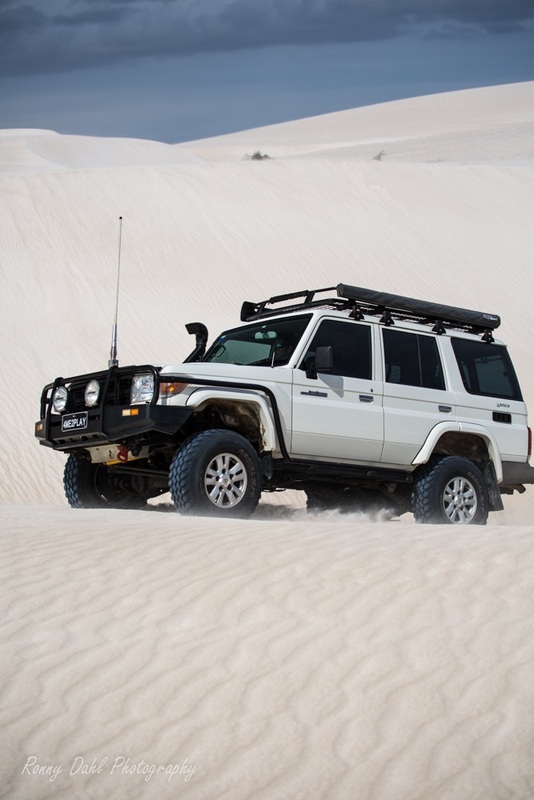 Leave 70 Series Landcruiser And Go 4 Wheeling In Western Australia.